I've been shopping on eBay recently looking for older slides to purchase. 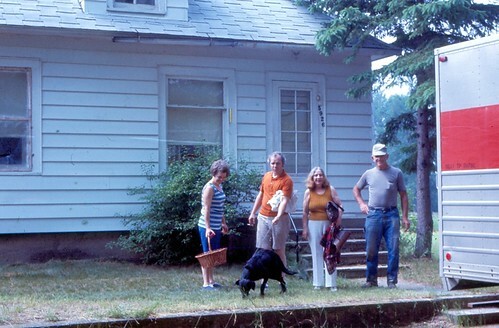 Since slides are originals and people tended to store them in firm boxes they seem to come out of garages and attics in pretty good condition. I bought my first box last week and the slides showed up over the weekend. 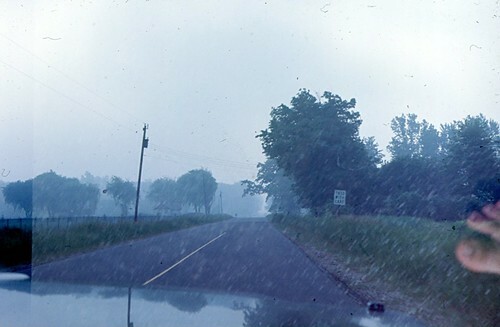 There is no date but most of the shots are in the Tuscola County area of Michigan. They were advertised on eBay as being shot in 1970 but I don't see anyway to narrow it down that closely. I think early 70's is a safe bet. Here are a few. I think someone may be moving from the Tuscola area because there are several shots taken from a car and there is this shot of some folks standing next to a U-Haul truck. I would think if you are going to take a bunch of shots from a moving vehicle you are more likely to be leaving that place. I like this picture. Driving through a rainstorm with someone's foot reflected in the window. I like this shot of the John J. Barden Hardware Store. I still am not sure what city this is in. I'm think either Cass City, Kingston or Caro. The last picture I pulled out of the box was a nice surprise. 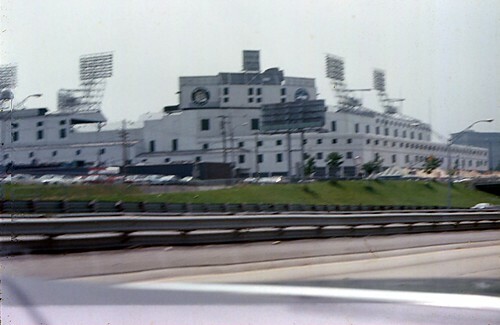 This is a picture of Tiger Stadium, in Detroit, MI, taken from a moving car motoring down the highway right next to the stadium. You can see a more contemporary view here. I think the overpass is blocking the angle that matches the picture from the slide. That was a fun little project. I think I'll do it again. Man, that is awesome, Ed. What a great idea. My mom has some slides in the attic from when she toured Europe in 1958. 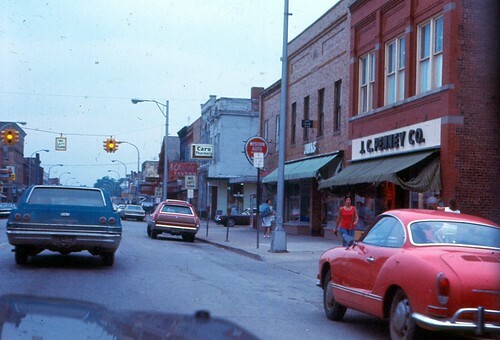 The slides haven't been viewed in 40 years...would love to get them online. 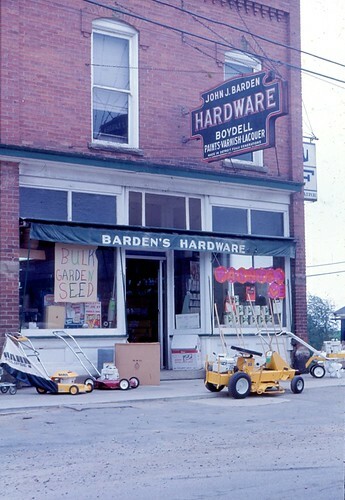 Barden's Hardware is in Kingston. I hear John retired and is in Flordia right now, leaving the hardware store to his son Tim. While Barden's Hardware is still in business its future is now suddenly brought into speculation as Tim Barden was arrested for assault with a dangerous weapon. People around the community are saying he pulled a gun on his wife. I'm unsure if they are divorced already or are working on it still, but they seem to be going at it. Even once Tim is out of jail, whenever that is, he probably won't be allowed to be handling guns which I understand they sell at the hardware store. So who knows what the future of Barden's Hardware is now. Jeff you are uninformed and no nothing of the situation. Stop with the rumors. Barden's Hardware still sells guns and Tim is not restricted. The future is not uncertain and the Hardware is in good standing. There were allegations against Tim but most of them were false. The town cop, Dave Lich was used as a tool by a vindictive ex wife.